Disclosure: I received two gift baskets for feature from California Delicious. All opinions are my own. Holiday gift baskets are always a great idea, but many times gift baskets seem too simple or boring. California Delicious’ Silver Oak wine gift tower is an ideal basket especially for the holidays. From it’s unique look to it’s high quality contents, this basket is sure to be a favorite for many people on your list. 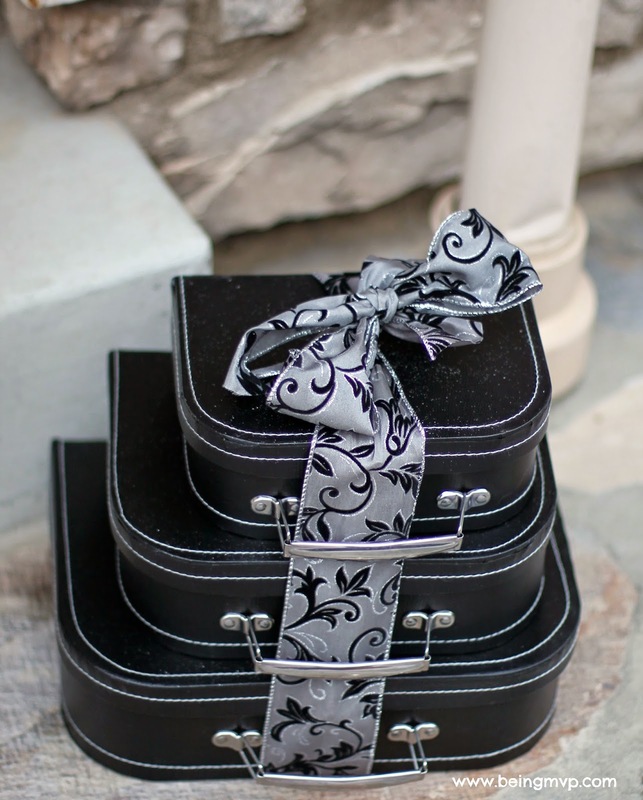 It comes packaged in a fun black luggage tower, setting itself apart from standard gift baskets and boxes. The tower highlights a dark Silver Oak cabernet sauvignon rich in flavors. Additionally they have paired the tower with brie cheese, crackers, smoked salmon, salami, chocolate wafer cookies, Sonoma cheese straws and Godiva white chocolate truffles. Each item has been carefully selected to match the rich flavors of the wine and all the items are premium quality. It’s a great gift for those who have good taste. California Delicious has a large selection of great high quality gifts for anyone and at various prices that is sure to match your gift giving needs. They are great for the holidays, but can be ordered for any occasion any time of the year. Be sure to check out their various wine, coffee, tea, chocolate, fruit and gourmet food gifts. All packages use high quality ingredients and are packaged in adorable styles sure to fit the occasion you are looking for. What do you think about the selections at California Delicious? Who would love a gift basket this year? what a great gift idea! I love the beautiful packaging. The coffee gift basket would be perfect for a person on my list. Those gift box towers are so neat! My father in law does them for his corporate gifts to clients. I personally would love one of the starbucks baskets! I love gift box towers like that! We got one last year and discovering all the goodies inside was so much fun! I would buy this if for nothing else those beautiful boxes. Gorgeous-- I see a total regift idea!!! and this looks yummy too! What a fun gift to give or receive. I'd love opening all those boxes and discovering what's inside. *I* would love a gift basket! Haha. But they're great for sooo many people on our list! What a nice gift idea! I love the black luggage tower and it sounds like it's filled with lots of scrumptious goodies. The gift towers are so unique! What a wonderful gift idea!